Uncertainty lingers behind the greeting “karibu”. Whether it is a greeting inflicting expectation or a genuine welcome to a country that has experienced a sensational amount of development in recent years is uncertain. “Karibu” – meaning welcome – is one of the first Swahili words used to introduce visitors to this country, and it continuously signposts the journey here. When travelling around town passing pedestrians, or people merely in the vicinity, they will practice a humble greeting and show an upmost amount of respect without a direct reason for interaction. The greetings from children consists of either the flabbergasted awe and wide eye glare of curiosity – or a chorus of voices shouting “muzungu! muzungu!” with extreme passion and uttermost happiness. This level of excitement highlights a certain undeserved celebrity treatment often experienced. It suggests an underlying desire, a country hopeful that its visitors may be able to change their well-being. It may indicate a desire for money and power, two aspects often represented in our racial reputation, placing a certain responsibility upon the “muzungu”. Calls of desperation to purchase goods on the road – whether experienced through car windows or merely when passing by – create moments of welcome which are accompanied by burdened eyes. The cynical interpretation of this is a painful desire for change, expected to be fulfilled by visitors. I have regardlessly encompassed an immunity to the shocking figures seen on the streets of the town. I have become used to the glue sniffers and drunkards who follow us with a stagger and wide grin, arm stretched out begging for any valued acknowledgement of their existence. I can just hope that the child lying unconscious in his mothers arms by the dirty market stall, with eyes rolled to the back of his head and flies swarming around his body, is tired from a hectic day of play. My empathy senses are forced to be hypocritically dulled in this context, contrasting my deep desire to help. I have derived the understanding that monetary aid may not be the answer to wellbeing. I have also reluctantly appreciated that not everyone can be helped. Instead a sustainable practice will in the long-term be most effective. This method requires patience and persistence. It also requires pure hope that the techniques we put in place will be beneficial in the long-term. Balloon Kenya paves the pathway to empower people with knowledge which will arm them with the skill to sustainably develop their businesses, make the right decisions to increase the quality of their life and the lives of their loved ones. Regardless of our cultural differences, locals are still able to greet me with a “karibu” and give me the handshake of respect. There is not a sense of hostility but merely a placing of us as superior. This superiority is a misperception as there are many ways to which the Kenyans are superior. I know that I am generalising and definitely racially classifying, but with the term “muzungu” and being treated with a different air of respect as visitors makes me feel like our racial differences need to be identified due to the social state of society. Rather than separate ach other, beyond a simple cultural divide, we are the same – superior in different ways. I would think that cooperation and joint use of these differences is where the vast amount of development and innovation will lie. This blog post draws upon the fact that initial assumptions may differ from actual meaning. As humans we over-analyse – looking for answers everywhere. Sometimes there is not one right answer, which is true in this case. 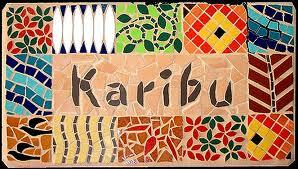 “Karibu” extends across a broad variety of meanings – suggesting a hope for change and an expectation for some people. For some it creates distance in social relationships, clearly separating visitor and “muzungu” from local. Often, however, the respect of “karibu” indicates a willingness to share and acknowledge the progress of the stunning country of Kenya. ← Learning by Doing: is education policy getting it right?